Carol has worked with my family for over 30 years, helping my mom buy and sell several homes. When it came time for my husband and I to purchase a home in Upland, CA, we knew Carol who to call! Our wishlist was extensive and very limiting since we were looking for something that would accommodate a growing multi-generational household. Carol and her associate Kacey found us several listings and were always available to show us properties on short notice. Just as I was getting discouraged about our house hunting, Carol and her team found our dream home! Escrow was an incredibly tedious process, with MANY bumps in the road. However, we had the dream team on our side! Carol and her team walked us through every step of the way, including some very tense negotiations. Carol is THE BEST negotiator ever. She has her clients' best interests in mind and will never steer you wrong. Her honesty and extensive industry knowledge are invaluable. Her entire team is professional, prompt, and respectful. They each go the extra mile and make you feel like their most important client. Carol Ward has been my agent for over 20 years. I can always count on Carol to give me a clear and succinct game plan on any sale and purchase of real estate. She is a wonderful partner to have during the biggest financial transaction a family will make. My husband Dan and I didn't want to sell our home. We didn't want to leave the friends, neighbors and neighborhood where we had lived for more then 30 years. Then...life happened and we needed a Realtor. We thankfully met Carol Ward and her team through a friend's recommendation. With our dog on her lap, Carol really listened -and understood - what we needed. She spent more than an hour with us explaining her philosophies and plan for selling our home; as well as calming our fears and answering every question. There was no hesitation - no doubts - for either of us, we wanted Carol as our Realtor. Carol sold our home in a week, but it was her support and expertise that got us through to escrow closing. She was there for us through every step of the way. Very easy to get a hold of through phone, e-mail or text. We hit a few snags along the way - which is the nature of the beast - however, with Carol as our Realtor (and now our friend) we never had to worry - she always had our back. 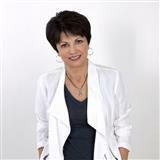 Carol Ward has been my agent since 1999 she has been my go to real-estate broker ever since. some of my recent transactions have been somewhat complicated with multiple bidders on foreclosed properties. I would say if it was not for her prompt attention in responding to the banks agent I would not have been selected the property Owner to most recent purchase. Her skills consistently lead me to success. Sold a Single Family home in 2013 in Claremont, CA. Carol has helped us sell two houses and buy a house. She is highly ethical and professional and gets results. Most recently she helped sell our property that was upside down during a time that our family had lost income due to medical problems and missed work. She led us through the very complicated banking procedures, put us in contact with an excellent realestate attorney and realestate tax expert. Carol and her team took our personal needs and concerns seriously and even helped us find a new property to move into with which we are highly satisfied. WHEN IT CAME TIME FOR ME TO HELP MY MOTHER SELL HER HOUSE AND PURCHASE ANOTHER HOUSE, WE CHOSE CAROL WARD TO HANDLE BOTH TRANSACTIONS. CAROL HAS EXTENSIVE KNOWLEDGE OF THE REAL ESTATE MARKET IN UPLAND, CLAREMONT, RANCHO CUCAMONGA, ONTARIO, AND SURROUNDING CITIES. HER KNOWLEDGE OF REAL ESTATE VALUES IN THE AREA HELPED MY MOTHER GET AN ACCURATE READ ON PROPERTY VALUES FOR BOTH BUYING AND SELLING. REGARDING THE SELLING OF MY MOTHER'S HOUSE, CAROL ACTIVELY PROMOTED THE HOUSE THROUGH ADVERTISEMENTS IN THE LOCAL NEWSPAPER, "HOMELAND" MAGAZINE, AND THE INTERNET. SHE KEPT US INFORMED THROUGHOUT THE TWO ESCROWS AND WAS ALWAYS AVAILABLE TO ANSWER QUESTIONS DURING AND AFTER BUSINESS HOURS. EVERYTHING WAS HANDLED IN A VERY EFFICIENT AND PROFESSIONAL WAY. I ALSO LISTED A HOUSE WITH CAROL A FEW YEARS AGO AND EXPERIENCED THE SAME PROFESSIONAL COMMITMENT TO CUSTOMER SERVICE. HER OUTGOING PERSONALITY AND ENTHUSIASM IN ADDITION TO HER KNOWLEDGE AND EXPERIENCE IN REAL ESTATE MADE ME FEEL CONFIDENT THAT I HAD CHOSEN THE RIGHT BROKER TO REPRESENT ME. BASED ON MY EXPERIENCE, SEVERAL FRIENDS HAVE LISTED HOUSES WITH CAROL. I WOULD HIGHLY RECOMMEND CAROL TO ANYONE WHO IS INTERESTED IN EITHER BUYING OR SELLING A HOUSE. THEY CAN FEEL CONFIDENT THAT THEY HAVE A PROFESSIONAL REAL ESTATE EXPERT WORKING ON THEIR BEHALF. Sold a Single Family home in 2005 for approximately $900K in Upland, CA. Carol assisted us in selling our home and relocating to Upland. We had specific needs, including mother-in-law quarters. Thanks to her, we have a beautiful home which satisfies our needs completely. Carol worked tirelessly for us, and communicated easily and frequently with sound advice. We recommend Carol without reservation to any home buyer/seller. Bought a Single Family home in 2010 for approximately $650K in Claremont, CA. Carol Ward helped me and my family purchase a home in California while we were still living on the East Coast.We knew the area where we wanted to live, but it would have been impossible without the help of Carol and her team. Communication with them by phone and email was great. Sold a Single Family home in 2011 for approximately $300K in Upland, CA. Carol has been my real estate agent for over 30 years and she represented me in the purchase and sale of two homes that I purchased in Upland. Carol's communication during each transaction was the best I've ever experienced and every aspect of the transactions was handled with the highest level of professional service. These homes were located at 2055 N. Palm Avenue, Upland, CA (purchased in 1985) and 1398 Lemon Tree Circle, Upland, CA (purchased in 2006). I can strongly endorse and recommend Carol without any hesitation or reservation. Sold a Single Family home in 1990 in Upland, CA. Our family has done business with Carol Ward for more than twenty years. She has always proven to be honest, thorough, caring and respectful. Carol cares about her clients and takes pride in everything she does. Her knowledge of the real estsate industry allows her to handle the process in a way that appears effortless to the customer. Carol handles suprises or issues before they become problems and makes buying a home enjoyable. Sold a Single Family home in 2011 in Louisville, KY.
We were transfered to California in 2000. Carol was very helpful throughout the buying & selling process. We bought our house through her in 2000 and then she sold our house in 2011 .We never considered another agent! She is professional, knowledgeable, and personable. If we had a question or concern she would respond promptly with a reliable answer. We couldn't have ask for more from a real estate professional!